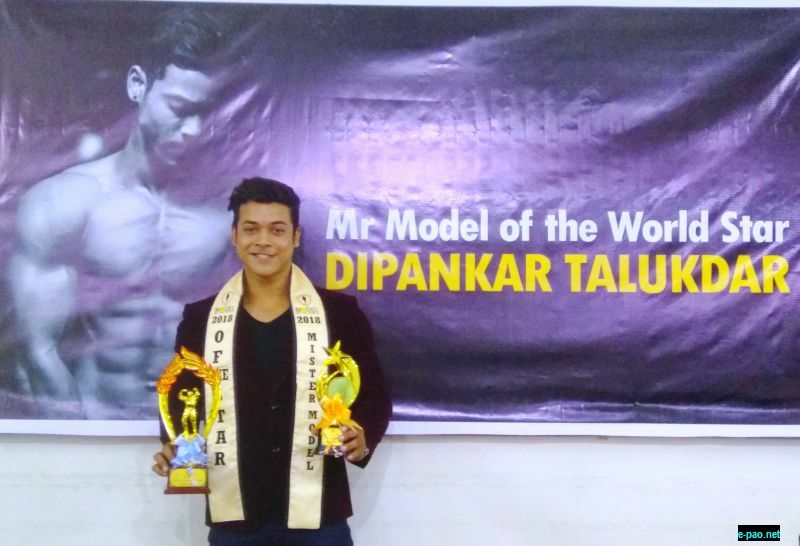 Dipankar Talukdar from Guwahati, who was recently crowned Mister Model of the World Star in Myanmar, said that he feels proud to bring the title home. “I represented India at the finale of the Mister Model of the World. This was a huge moment for me. And, winning the title was indeed a dream-come-true experience,” said Dipankar Talukdar addressing a press conference in Guwahati on Thursday. Dipankar, who also bagged the Mister Photogenic of the World subtitle at the finale of the event in Myanmar on September 5, has now been appointed the National Director of Miss Crystal Angel International, a global beauty pageant scheduled to be held in Myanmar in July 2019. Speaking to the media, the 25-year-old said that this position would enable him to develop opportunities for models of the northeastern region in the global fashion industry. Dipankar was crowned Mister India - Model of the World in March this year, which qualified him for the global finale. It took him six months of rigorous training and hard work to prove his mettle against contestants from 15 countries in the grand finale. Speaking about his moment of victory, an elated Dipankar said, “All my opponents were really strong; but when the crowd started whistling and cheering for me after the question-answer round, I was sure that I would return home with a title in hand. I had been dreaming of winning this title since the past six months. I thank my mentors and well-wishers, without whose guidance and blessings this would not have been possible”. Dipankar has also been offered the position of the Managing Director- India for Mister Model of the World 2019. He will work with his mentor Akshay Raichurkar in scouting talented models across India, to crown the contestant who will represent India in Mister Model of the World pageant next year.